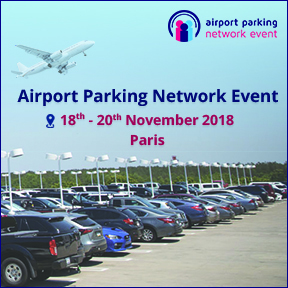 The 10th edition of annual Airport Parking Network Event will take place at Charles de Gaulle Airport, Paris, France from 18th – 20th November 2018. As a member of Parking Network, GrayMatter is part of this exclusive event. At this event, we will be joining both suppliers and airport operators in an informal yet productive environment where problems and solutions within airport parking can be shared. The event will maximize the possibility to connect with other experts in airport parking. The agenda comprises of 20 hours of networking time, including an exclusive networking lunch and dinner, organized tours, discussions and interactive workshops. Aside from the networking opportunities, workshops and open discussions run throughout the day. The event also offers attendees the chance to learn from industry experts and discuss industry issues with their peers. You can meet GrayMatter experts at the event for a quick chat on the decision support needs of airport car parks and how GrayMatter’s Car Park Revenue Management (CPRM) helps in addressing the same.